The outsourced software development is one of the most popular ways of hiring technical resources in the present day marketplace. And, the startup outsourcing plays a pivotal role in the overall global popularity of the outsourcing development because the remote startup hiring contributes hugely in the startup business outsource. Normally, the startup companies have a cash crunch, so the IT outsourcing for startups is the best option to choose from. Let’s have a look at the global statistics of startup companies, their success rate, how to find a computer programmer for a startup and the cost of startup developer in different countries. The useful tips on how to find programmer for startups, how to provide software outsourcing for startup development and the main things to consider for a good startup outsourcing company are also discussed in this piece of article. Starting a new business with an innovative idea to provide the viable solution or a business model developed around a service, product or the combination of the two is called a startup company. The ratio of creating a startup company in the global market has increased tremendously during the past few years. It is very difficult to figure out exactly how many startup companies are there in the world, but some estimates can be done based upon the available information regarding the startup companies in the world as discussed next. According to the recent research paper regarding the global startups, the estimated number of startup companies across the globe will be around 472 million. This research paper further estimates that the average number of startup companies starting every year stands at about 100 million. Similarly, the number of startup companies closing every year, roughly stands at about 86 million. As far as the number of startup companies in the US is concerned, there were more than 414,000 startup companies that created over 2.2 million jobs in the market in 2015, according to the US Census Bureau statistics released in 2017. This report also identifies the top five favorable countries for the entrepreneurship. Those top rank countries include the US, Switzerland, Canada, UK and Australia in the descending order. According to another research published on the Deal Sunny website, there are more than 400 million entrepreneurs out of 7 billion population of the world. If the 25% of that entrepreneur population forms a company annually, it will be about 100 million startups each year. The success rate of the startup companies is the major concern for the entrepreneur people of the world. The failure ratio of software developer startup companies is much higher than many other categories globally. Similarly, according to the Fortune report 2016 information, more than 6.1% of the job seekers in the US chose to start their own businesses. This research also cited a substantial growth in the startup companies in the US during 2016. The self employed people in the US grown to 8,751,000 much higher than the previous figure of 150,000 in 2014, as per data released by the US Bureau of Labor Statistics. A large number of these companies were the web developer startup and other IT related companies too. According to the Entrepreneur research information, Boston, Berlin, Bangalore, Istanbul and Sydney are the top 5 thriving cities in terms of startup business hubs in the world. A large number of IT institutes, research centers, IT firms, the availability of highly skilled talent, and easy to hire outsourcing startup engineer for startup companies are the major features of these cities that make them stand out from the other cities for the startup businesses. Beijing, Kuala Lumpur, Moscow, London, Tel Aviv, Warsaw and Cairo are the other most popular cities for the startup companies to launch their businesses. If we look at the number of startup companies in any of these cities – for instance, we talk about Bangalore –, more than active 4,900 startups are already in business and the new entrants are in thousands per annum. On an average, there are more than 10 startup events in the city to promote and help the new entrepreneurs to materialize their innovative business ideas into business entity. So, along with the US, the UK, and Western European countries, Asia Pacific and Australia are becoming major hubs of the startup companies to start nowadays. There many things that may lead to the failure of the outsource development for startup company, such as how to find a web developer for Startup Company, cash crunch and the business experience. The better understanding of the ways startups hiring remote developers can be very helpful for the IT and web development startup companies to succeed. According to the Forbes report, more than 90% of the startup companies fail in almost all sectors of business with a very little difference. This is a very bleak side of the establishment of startup business, but it is a true and bitter fact of the industry. Similarly, the new research conducted by the Small Biz Trends confirms that the failure rate of startup companies is about 90% of the total number. According to this research information, the IT industry faces the highest ratio of failure as compared to other industries. The failure ratio of IT industry stands at about 63%, and the finance, insurance and real estate sector faces the lowest (42%) rate of failure. According to the Small Biz Trends, more than 50% of the startups fail in the first four years. According to this study, tax preparation, payroll service and accounting are the most profitable sectors for the startup business. The ratio of the profit margin in these sectors stands at about 18.4% net profit margin (NPM). The information technology and communication are the sectors, where the large portion of the startup companies comes from. The main domains of IT business include the Java Developer startup, Android developer startup and the web development startups. According to the SBT report, the chance of success for the entrepreneur that has already succeeded in one startup business is about 30%, while the person who failed in his first attempt has about 20% chance of success in his/her second venture. It is also very interesting fact that the most funded sectors for the startup companies include outsourced software development at the top followed by media and entertainment and biotechnology sectors. According to the Deal Sunny report cited in the above subheading finds out the main factors that can help a startup entrepreneur to succeed in his/her venture include self belief, focus on things entrepreneur care about, building a good team, and don’t give up. It is very easy to find an outsourcing startup coder for your startup company, if you start your new business in the domain of software development. You can hire skilled talent locally as well as remotely at very reasonable prices in the field of app startup outsourcing. So, with the help of your acumen and the deep knowledge of market and outsourcing startup software development, you can make your startup a success in the present day marketplace. The startup outsourcing is a boon for all kinds of startups, which normally struggle with finding the sufficient cash and funding. It has been observed that many startup companies, especially the IT companies that need a programmer for a startup company often chooses the outsourcing startup mode hiring to find a programmer for startup companies. According to the Gartner’s Research Report 2018, the global IT spending will cross the gigantic $3.7 trillion mark in 2018. The software development, especially the enterprise software development and startup IT development services will continue to grow consistently. The enterprise software development will see over 9.5% of growth in 2018. The Comptia report predicts substantial spending in IT and software development in startups and small business sector. One out of every three SMBs or startups spent more than $100,000 per annum. The major portion of this spending goes for the remote software development. The mobile application development is one of the major sectors for the startups to work in. The sufficient availability of startup android developers and startup iOS developers are the main drivers for attracting the startups in this domain of business. A few years back, the cost of finding a programmer for your startup was so high that a startup would not be able to manage it comfortably. But, the remote startup of the developers has reduced the outsourcing startup developer salary for the new small businesses. According to the Statista statistics regarding the information technology outsourcing (ITO), the total global value stood at about $64.3 billion in 2017. The global value of business process outsourcing startup stood at about $24.6 billion. According to the State of Software Development Report 2017, more than 56% of the startup companies have already outsourced their software development projects to their respective remote software development partners. More than 14.5% of the startups that have not outsourced their software development projects are also planning to outsource their software development to their development partners. The software outsourcing startup offers great options on how to hire a programmer for a startup at very competitive rates that the startup companies can easily afford. There are many different kinds of startup outsourcing models of hiring available in the marketplace on how to find a programmer for your startup company, such as freelancing, outstaffing and dedicated hiring. The impact of outsourcing startup software development is huge on the overall software development industry in the present day marketplace. The outsourcing startup industry has been growing at a very fast pace for many years now; owing to that substantial growth, a large number of outsourcing startup software development service provider companies like Mobilunity emerged in the marketplace. Those companies helped numerous startups to make them huge by providing outsourced software development services. 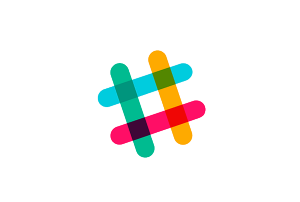 The Slack Company is one of the most popular collaboration and communication platform commonly used in managing the remote teams. Initially, this company used the services of outstaffing and freelancer developers for its software development. Now, this company is huge with an estimated market value of about $3 billion. One of the most popular software repository company used outsourcing for the software development in its initial days when it was a small startup company. Now, the company has become huge and millions of software companies including startups use this platform for their software development and version controls. This is a web browser company. 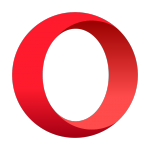 As a startup company, it launched its lightweight browser for mobiles. It used the services of outsourced employees and freelancer developers for the development of its flagship product. Now, this company has become the owner of the successful brands in the marketplace. The fasted growing eCommerce website in its earlier years in 2013-14 was estimated as a $1 billion company. The company started in 2010 as a small startup company with the help of outsourcing development. This company is still going well in the marketplace. 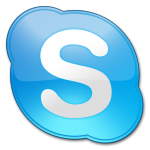 Skype was acquired by the Microsoft for $8.5 billion in 2011. Earlier, the Skype was started as a startup company that used the outsourcing software development services from Eastern European countries and become huge within a few years of time. 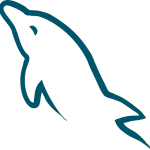 MySQL is one of the leading open source relational database management systems. Initially, MySQL was started as a startup company in 1995. It used outsource services for its development and maintenance from my countries of the world. It became huge in 2008 and was acquired by the Sun Microsystems for $1 billion. Presently, MySQL is a part of Oracle Corporation. 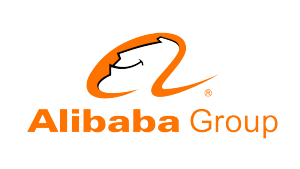 Alibaba was started as a small internet startup company by using the outsourced services for the software development. The founder of this company had just $20,000 at the time of starting this company. The website was outsourced to the US based developers. It became a huge company within a few years. The annual revenue of the company stands at about $250.3 billion in 2018. 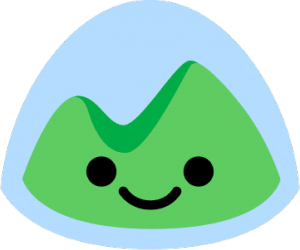 BaseCamp is one of the best and comprehensive business management software platforms. It is a US based company with a huge customer base of more than 2.8 million businesses. It was started as a small startup company that used the outsourcing software development services from many countries to save cost. 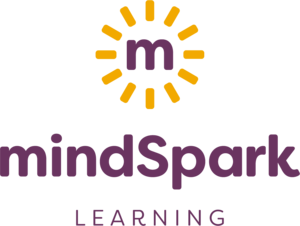 It is cloud-based computer aided mathematics learning application for the students. It was initially started as a small startup company by outsourcing the web development to different freelancers and outstaffing teams. It became huge in a short span of time, and at present, it has more than 80 thousand students using this platform on a regular basis. 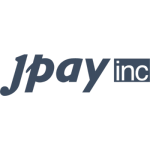 It is a payment system for the corrections, jails and other such places. It also provides the forums for the friends and families for discussion and entertainment. The company used the outsourced software development services during the starting period as a startup company. Now, the company has a huge area of operation across many states of the countries. Why Outsourcing Is the Best Choice for Startups? According to the CB Insight research data, the main reasons, along with many other reasons for the failure of the startup companies include cash crunch, poor marketing and loss of business focus. To avert the failure due to these factors, outsourcing of the software development is the best choice because it saves cost and time so that you can give proper time to marketing and business targets. The web development outsourcing saves you money so that you don’t face any cash crunch. It is a very commonplace practice to use the services of outsource software development for startup. Using the services of outsourcing companies has its own advantages and disadvantages. To avoid the disadvantages and make most of the advantages of the outsourcing services, follow the following top 10 useful tips and check out how to outsource your startup. By following these useful tips for the outsourced software development, you can make your project more successful and delivered on time. Outsourcing development initiatives are no longer something reserved for large corporations. Even the little guys need a helping hand from time to time. Below are the reasons why being a startup does not automatically disqualify you from having all of the benefits large information technology outsourcing companies enjoy once they have some Ukraine IT outsourcing or all of their IT initiatives. Scalability – it’s not always easy building a team from scratch. What can be even harder is adding to your team when needed. If you use a company that has access to local talent, especially if it’s one that you have already built a relationship with, when things start to pick up and you need to find developers quickly, you’ll have a team in place that already knows how to find exactly what you want. They will be aware of the project, and of the core functions needed to bring the best talent to your project. Depending on where you choose to source your developers, you can also benefit from being able to scale down your startup website development as needed. Making it easier to make quick decisions, which are often important to a startup to respond to market disruption quickly. Large corporations already have an in-house team to deal with this, why should the little guys not have this resource as well? Focus – If you are a product guy or a sales guy, you may have a perfect idea, the perfect pitch, but have no idea how to develop it. Perhaps you have a part-time CTO, or buddy helping you out. Either way, it’s not enough. If you were to use your access to cheap efficient IT professionals, you could focus on your core skills. You may be able to sell, but why should you also worry about coding. It’s much easier to hire a firm that you can communicate with, tell them your goals, have them work for you, and at a fraction of the cost. That way you continue on building the business you want while having a team dedicated to you, handling the other aspects of the business that you’re not well versed in. Speed – You can have the perfect idea for an app, but if you don’t have a startup web development team to build it. You are genuinely operating at a disadvantage. Unfortunately, no matter how great an idea is, there is a good chance that someone else is also working on the same thing at the same time. Sometimes it can be a matter of who can bring their product or services to the market first. If you spend weeks and months, trying to secure enough funds to hire developers in your local market, or if you just don’t have access to local talent, then outsourcing may be your best bet. With the right agency, you can find what you need quickly, and begin to develop your project while the competition wastes time trying to find costly talent locally. Cost – As a startup, funds may not always be as readily available as they are with more established information technology outsourcing companies. We all look to save money, but it’s even more important to do so in your early stages. Startups have so many other things to consider and budget for especially if they have not received funding yet. Even if a startup has received a round of funding, they have to stretch it and make it fit their needs. If a startup outsources some or all of their development, they can maximize their funding, and save money as they budget and prioritize their next steps for growth. The hiring of a professional developer for a startup outsource company may vary from the company to company and the manager to manager. But in general, the hiring process should cover the finding the right candidates, screening the best, assessing the technical skills and personal attitudes are the major factors that should be properly weighed during the process of overseas hiring. You should post the complete description of the desired job on the top job portal websites or the send out the emails to the desired outsourcing companies you focus on. This step should cover all aspects of the job, such as required skills, experience, qualification, job responsibilities, tasks and any other specific details required for the job post. After the first step, wait for a couple of days’ time, and then review and shortlist the top applicant profiles based upon your requirements. The number of shortlisted candidates should be about 3 to 4 times the total required number of developers. Schedule a short interview of about half an hour or so with every shortlisted candidate to know about the knowledge, skills, experience and personal behavior. You should ask for portfolios that the developer has completed earlier. You should also provide your requirements related to workload, skills, timeline, work hours and any other specific things related to the project. Also ask for the short and time-bound programming test to assess the practical coding experience. Drop the candidates that don’t fit to your requirements. Fix a time for a short programming skill test or provide a 12 to 24 hour window to complete the test online or offline, whichever is feasible. I would suggest it to be online and in real time. This test should test the programming skills and development methodology 100% related to your software development project. Once the programming tests are done, check and assess the skills. Drop any candidate that is not up to your standards. Finally, decide the top candidates that you are going to hire. You should offer the hiring letter and get it signed along with the non disclosure agreement NDA to make sure that your developer does not share the business and technical information to any third party. Make a contract along with the details of the scope of the work, timelines, liquidated damages and other factors to be included in the contract. After completing these top 5 steps, you can start your development project by providing the complete details and infrastructure required for development and communication along with the details of the to-do activities. According to the Company Warehouse Research Report 2016 data, the average funds for a new startup company are about £5,000. Within this budget, the company has to manage the software development and other expenses before some funding from the other sources is managed. Normally, it is very difficult for a new startup to manage a substantial amount of funding through banks or other financial institutes. A large ratio of about 82% of the outsource startup companies relies upon the personal funding. It was found in the study that only finance and recruitment startups had more than £10,000 funding, other outsourcing startup companies had even less than the average startup funding limit. According to the Entrepreneur article, it is very difficult to assess the startup outsourcing software development, but as the rule of thumb, it should be roughly the estimated expenses to develop and maintain the software platform for one year. According to the Built in Chicago website information, the software development normally costs 60% of the startup company budget. The second major part of the spending is on marketing, which takes about 30% of the total budget. In the USA, normally for a home based startup company needs about $20,000 budget, which is a rough estimate. So, the average software development spending of a startup company will be around $12,000. If you look at the low cost software development outsourcing companies in Ukraine, one developer costs just about $2,000 per month. So, a startup can hire a developer for about 6 months or so. The average salaries of startup developers in different countries vary tremendously due to many local and international factors, such as living cost, availability of skilled resources, local economy, demand in the market and others. Let’s have a look at the average salaries of startup developers in different countries of the world. What Kind of Developer Is Better to Hire for a Startup? Normally, a startup company faces cash crunch and funding problems in its starting periods. In many cases the startup companies are normally started from homes. According to the Small Business Trend research information as cited above, 69% of the US startup entrepreneurs start their businesses from homes. Similarly, the Small Business Administration research report 2014 reveals that 52% of the startup businesses in the US were home-based. In such circumstances, it is very clear that the remote hiring of software developers is more suitable for the startup companies as compared to the local hiring of the software engineers. If the company hires a local software developer, it will have to pay higher and abide by many legal, governmental, social security and other rules. Thus, it will incur huge cost of hiring a local software developer for a startup company. On the other hand, a remote hiring is very cheap, and does not require any legal or other provisions to accomplish. Thus, a startup company can benefit more from the remote hiring as compared to the local hiring. You can find startup developers through multiple ways in the global human resource marketplace. You can hire software developers locally as well as remotely through the following ways. This way of finding startup is suitable for existing startup companies. In this way of finding software developer, the existing employee refers the name of developer. The employee knows both the company requirements and the software developer that he/she refers very well; so it results in a very good match. Professional networks like LinkedIn, GitHub and others have become the hotbed for software developer hiring for all kinds of businesses, especially for the startup companies. This way of hiring is more reliable because every professional is linked with many technical professionals through a professional network where they communicate, recommend, refer and write about each other to give a clear picture about the skills and experience of the professionals. Freelancer portals are very popular ways in finding the right startup developer for smaller businesses and startups. You can post your detailed requirements on the freelancer portal to attract the matching candidates to apply. This way is much cheaper, but less reliable. A startup company can use the services of professional third party outstaffing companies to search and provide the custom solutions for the company requirements. This is the most reliable way to hire outsourcing startup developer. In this way of hiring, the company gets a reliable outsourcing startup engineer or a team of developers to complete the desired task on time and at a fixed rate. For the hiring of local software developers, the local newspapers and job boards are the best ways to find out a good software developer in the local area. This is the most reliable way of hiring; but it is a very costly and complex process. While hiring developers for the startups take special care about the technical skills and previous experience of the developer in the similar type of role. Make the detailed list of required skills and then match the developer’s skills with that list. 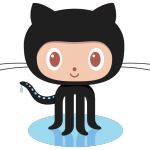 Ask the developer to provide some portfolios of his/her work. Normally, the outsourcing startup engineer salary who is experienced and skilled software developers are very high, which is not possible for a startup company to bear. But, try to offer the salary plus company share or even some additional incentives in case the company kicks off properly. Try to pouch a good developer with the lowest possible price. The location of the software developer is very important. If you want to hire outsourcing startup programmer, you should make sure that sufficient hours encompass between yours and the startup developer’s time zones. Properly assess the work attitude and other personal attributes of the startup software developer to make sure that he/she is committed, team player, creative, cooperative and takes ownership. In case of remote startup developer, interpersonal communication skill plays pivotal role in understanding the business requirements, conveying them properly to the clients and providing the proper updates of the project. Make sure that the startup developer that you are going to hire has excellent interpersonal communication skills. Agile methodology and latest communication and collaborative tools are the essential parts of the modern development. They are more important in case of remote hiring of the startup developers. So, ask for the latest outsourcing engineering startup tools and methodology. How Does Mobilunity Help Startups? Mobilunity is providing highly professional level software development services to numerous startup companies across the globe. It is a Ukraine based service provider of the dedicated developer to the startups for very competitive and fixed prices without any hidden charges at all. It provides high quality development services powered by the highly professional management team to manage your development team and provide them with the best development infrastructure and environment so that your project becomes a 100% success. Mobilunity handles all processes, such as talent hunting, screening, interviewing, hiring, offering, contracting, infrastructure provisioning and project handling on your behalf. The startups are provided with the high-quality technical and managerial services to create greater peace of mind so that they can focus on the core business processes the business ideas to excel in the market. Find out how lean developer can be useful for your startup. Contact us now to hire highly skilled and professionally qualified startup software developers for your startup outsource development!